Want to get the most out of your social media efforts? There is no one-size-fits-all method that is guaranteed to give you success across every platform like Instagram, Facebook, and Twitter. Each platform has its own demographics and user behavior that means you must adapt to make sure you are striking when the iron is at its hottest. Not all that long ago, Vine was one of the fastest growing social apps on the market. The app made its name with short looping videos and a large community that took advantage of the medium to create comedy and even frights. Since being acquired by Twitter, however, the app has gradually lost its place in the social world as other platforms like Instagram and Snapchat have incorporated their own video features. So, perhaps it is unsurprising that Vine has announced it will be ceasing operations and shutting down in the near future. According to a post shared on Medium, the website and app for vine will remain online so that users will have time to download their Vines and mourn the loss of the app as a community. The statement didn’t give any firm timeline of when Vine will fully shut its doors, or any explanation as to why Twitter has decided to shutter the app. It is possible Twitter could possibly choose to integrate the app capabilities entirely within its own platform, but so far the company hasn’t made any indication that it plans to do so. Back in 2012, shortly after it was bought out by Twitter, Vine was sitting as the number 1 app on the iTunes app store and had a consistent 200 million active users. However, the rise of live video and new video features on competing platforms have pushed Vine out of the crowd. According to data from App Annie, Vine is currently sitting at number 284 in the iTunes app store charts for free apps. Analysis also suggests year-over-year worldwide downloads of the Vine app have been consistently declining across both the Apple App Store and Google Play. For what it’s worth, Vine co-founder Rus Yusupov only tweet in the wake of the news suggests he regrets letting Twitter take over the company. 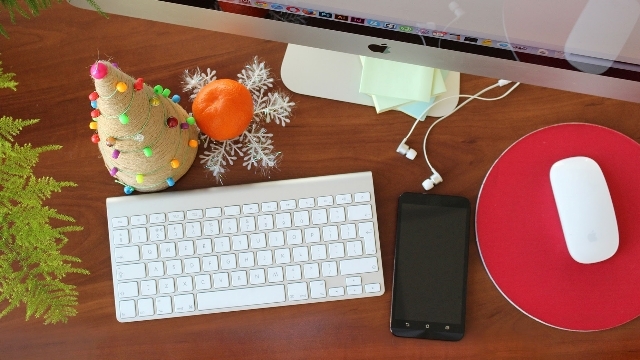 A new study published by ad tech company Fluent shows the holiday season is looking to be more mobile than ever. According to the report, nearly 40% of all US consumers are already planning to make at least one purchase this holiday season from a mobile device. Unsurprisingly, younger consumers appear to be more likely to make purchases from mobile devices compared to older individuals. For the survey, the company asked almost 2,000 US consumers questions about their holiday shopping plans in late September. The responses showed 39% plan to make at least one purchase on a mobile device, with younger shoppers being increasingly likely to go mobile. Just less than half of consumers between the ages of 18-44 say they plan to shop on mobile devices, compared to 33% of those 45-years-old or older. The survey also provides insight into how consumers will be researching their purchases ahead of time, both online and offline. In total, approximately 54% will do the majority of their research online, while 47% will continue to do their research in traditional physical stores. While online research is becoming a big part of the holiday season, brick-and-mortar stores will still be where shoppers are spending the majority of their money. The survey results show 78% of consumers will do at least half their shopping in stores, while 22 percent said they will do at least half their shopping online. The survey shows a small discrepancy between genders, as well. Fluent says men are slightly more likely to research products online compared to women. Just last year, Pinterest announced it had reached over 100 million active monthly users – a huge milestone for one of the fastest growing social platforms around. Since then, Pinterest has grown its user base by over 50 percent, reaching 150 million active monthly users, according to a recent announcement. The new numbers show Pinterest is maintaining its rapid growth by expanding internationally, as well as reaching out to new demographics at home. According to Pinterest’s announcement, approximately 80 million of the company’s active users live outside the U.S. and 75% of new signups are coming from users outside the country. The platform has also made gains with men, who have long been the minority on Pinterest. The company notes 40% of new users are men, an increase of 70% from last year. Lastly, the statement shows Pinterest is still maintaining a strong hold on millennials. The company says over half of all U.S. millennials are now active users on the site. Overall, the numbers show Pinterest is still drawing a huge audience of people interested in finding and engaging with products, food, and designs that help them live the lifestyle they dream of. To find out more about Pinterest’s current user statistics, check out the announcement here. Google is making a huge change to their search engine that could have huge implications for the future of search. Until now, Google has maintained a single search index, which cataloged the entire web for Google’s algorithm to sort through. However, that will be changing soon as Google’s Gary Illyes announced the search engine would be releasing a separate mobile search index. The new mobile index will become Google’s “primary” index that it uses to deliver the majority of search results. At the same time, the company will continue to maintain a separate desktop search index which will be slightly less up-to-date. The announcement came last week during a keynote address at Pubcon from Gary Illyes, webmaster trend analyst with Google. While Illyes later confirmed to Search Engine Land the rollout of the new index would be coming within “months,” he was otherwise short on details of how the mobile index will work. It is also unclear in which circumstances Google will use which search index or just how behind the desktop index is. What is clear is that Google sees mobile as the future of search despite still seeing significant desktop usage. 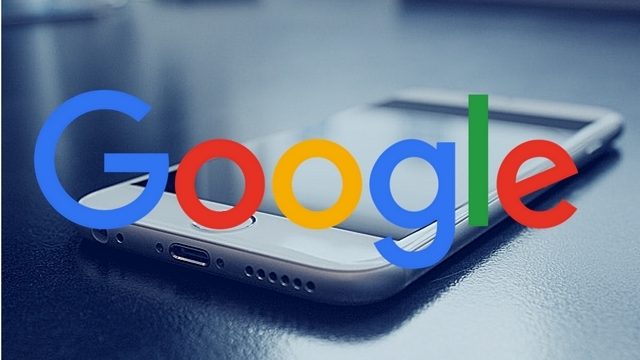 Most likely, the new index means Google will be switching from a system which selectively pulls information from the single index for mobile results to a new system which uses the separate index for queries coming from mobile devices. More information is likely to come in the near future, but for now, all we know is Google is gearing up for big changes to further prioritize mobile searchers. 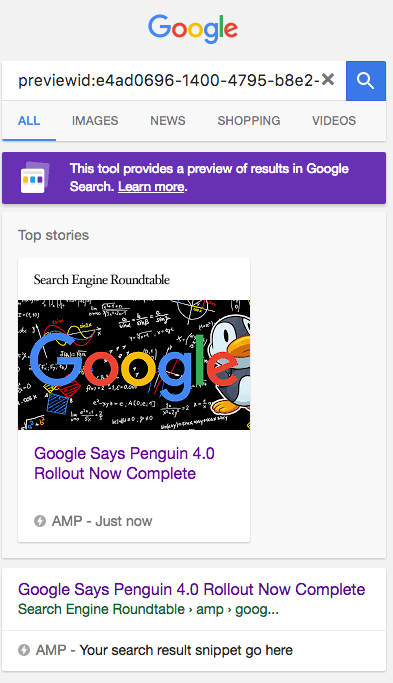 In the wake of the one-year anniversary of the release of AMP (accelerated mobile pages), Google has released a new testing tool to help content publishers ensure their AMP pages are properly set-up and displaying correctly. The tool is directly available at https://search.google.com/search-console/amp and can be accessed through the Google Search Console. 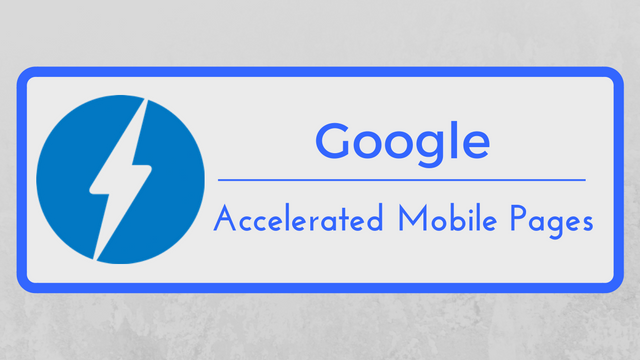 The testing tool is designed to work on mobile devices and uses Google’s live web-search infrastructure” to assess any AMP page using real Googlebots to provide real-time evaluations. 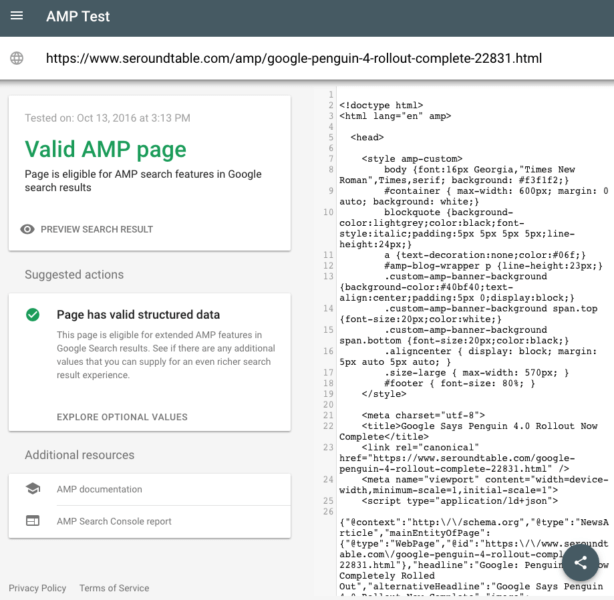 Specifically, it checks the AMP markup and structured data on the page for issues, then highlights any part of the source-code that could be creating errors. You can then click on the issues for more details about the issue. The testing tool also allows you to see a live preview of how the page may appear in Google’s search results. It is no secret that the majority of people online change devices several times a day, but new research from Google shows that a growing number of users are adopting a “mobile only” lifestyle. 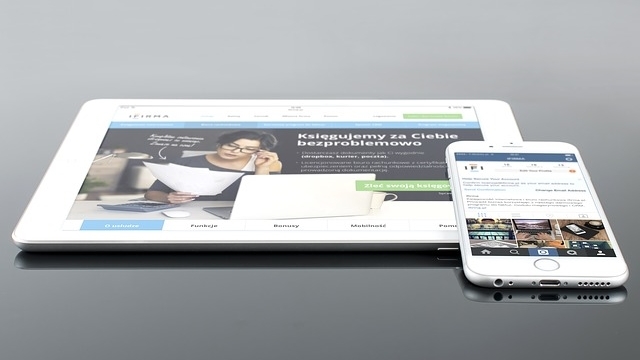 The new “cross-device” research shows that while plenty of people still move from desktop to mobile to tablet as they need to throughout the day, but almost 40% of searchers have dropped desktop devices from their online search process entirely. Every day, approximately 80% of users search the internet on their smartphones, while 67% use PC’s. 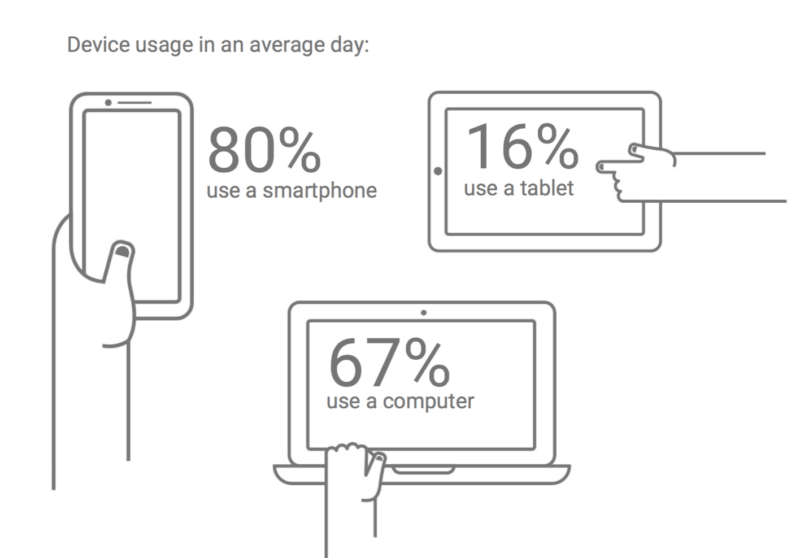 Over half (57%) move between devices throughout the day and 21% are likely to use more than one device simultaneously. But, perhaps the most surprising finding of the study is that approximately 39% of people who conduct searches on an average day use only smartphones, compared to 32% who search only on PC. When measuring all internet use, rather than just searches, 27% of users are smartphone-only. The report shows mobile usage varies by industry with year-over-year growth of mobile search for different markets. If you want to find out more, check out the full report here. Google is increasing its efforts to combat fraud on its search network with new verification processes aimed at weeding out scammers and con artists. According to an email sent to several of Google’s biggest contributors, the company is testing an advanced verification process in San Diego aimed at stomping out a growing scheme in the locksmith and plumbing industries. All locksmiths and plumbers currently verified on Google will have to go through the new verification process. If you don’t do so before November, Google will un-verify your listing and remove you from Google Maps. New applicants hoping to be verified on Google will also have to go through the process, which Google promises is simple. Companies will go through a series of questions from Google and complete an application with a third-party verification company. In total, the entire process should take approximately two weeks to get verified. You can find out more about the new advanced verification process being tested for locksmiths and plumbers around San Diego in the new Google My Business help article. Now, you might be wondering why Google is targeting locksmiths and plumbers when there are so many fraudulent businesses online. This is because one of the quickest growing online scams is being conducted by people presenting themselves as locksmiths. They are shown AdWords ads and Google My Business listings for businesses promising cheap and reliable services. When they call one of these ads or listings, they are actually directed to an offshore call center who dispatches a local representative to your home. The “locksmith” arrives and immediately chooses to drill open the lock, leaving the person with a huge bill. Instead of a cheap service you are stuck with excessive costs and a busted lock. The scam has gotten so prevalent it has even been detailed in the New York Times. A simple search for “locksmith scam” shows just how many people have already been affected by it. Similar scams have since started popping up in other home improvement sectors like plumbing and roofing, which is likely why the new process is extended to plumbers in San Diego as well. Google is hoping the new verification process should weed out the fraudulent actors populating its search results. Currently, it is hard to predict just how effective it will be. But, if Google sees positive results you can expect to see the system roll-out to the rest of the country in the not-too-distant future. Do you want the most coveted Twitter feature limited to only the biggest names online? You can have it with just a few simple steps. I’m not talking about a new way to share your tweets, but this one small feature will immediately establish you as an authority across all of Twitter. That’s right, I’m talking about the famous blue checkmark showing that your account is “verified”. Until recently, Twitter has limited verification checkmarks to specifically selected accounts of well-known actors, athletes, business personalities, artists, and authors. But, as of July, anyone can now apply to receive the lusted after sign of influence by going through Twitter’s verification application process. 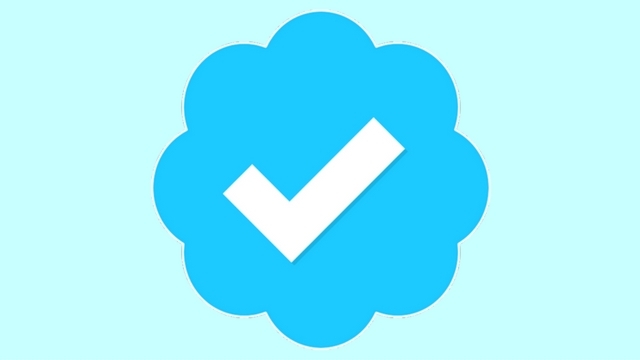 It might seem like a small thing, but the checkmark is more than just a blue badge next to your name. It immediately shows that you are an established figure likely tied to a reputable organization. It grants weight to your opinions and encourages other users to follow you as an authority in your field.